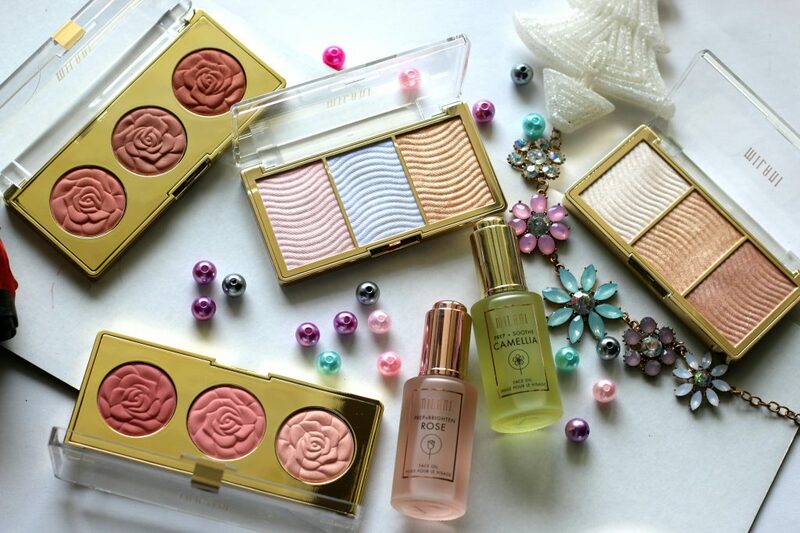 Do you like pretty looking makeup ? 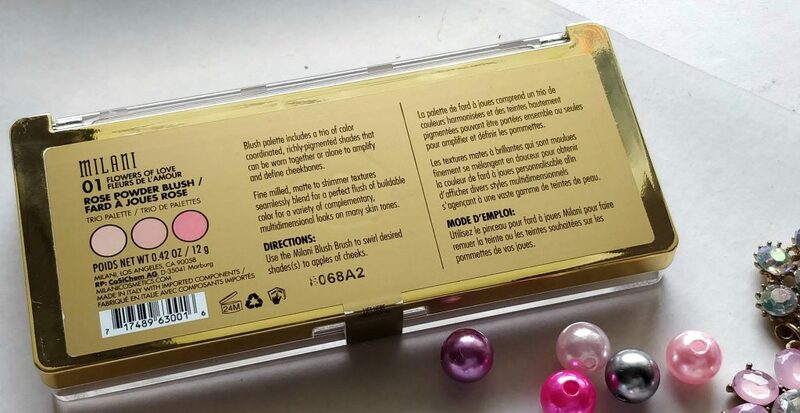 I think packaging plays a major role during every makeup releases. 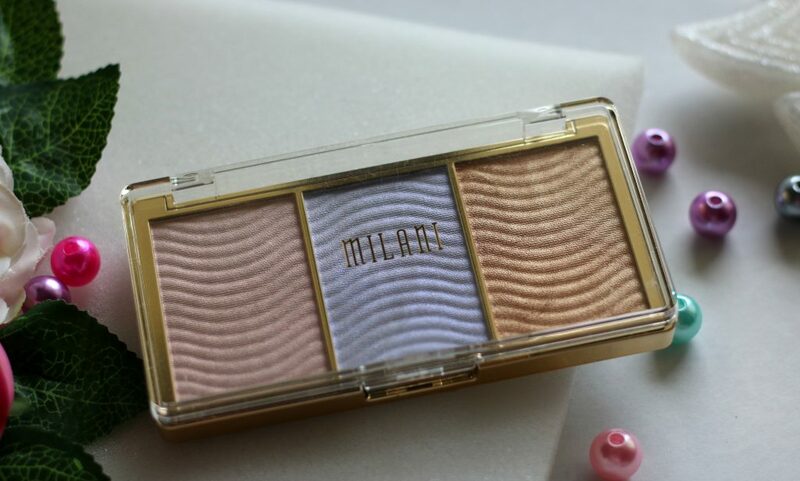 Milani Cosmetics have some of the amazing looking makeup products ever! 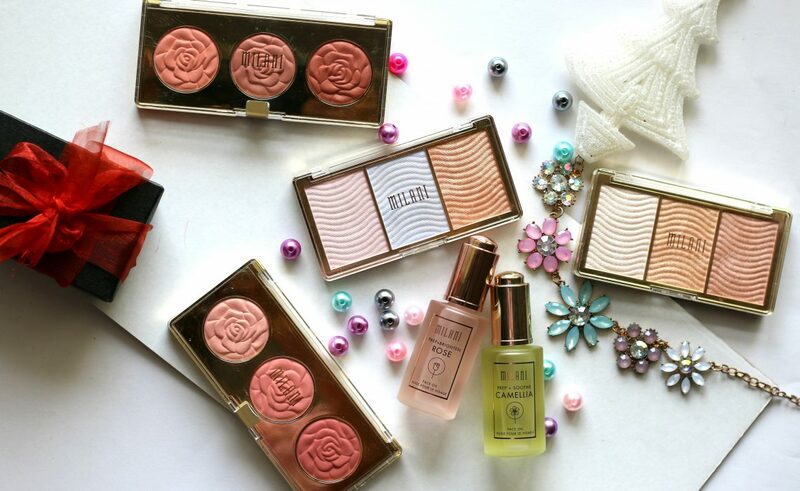 I am forever a fan of their bronzers and blushes and I must say I got super excited when I saw the newest launches in my mail some weeks ago. 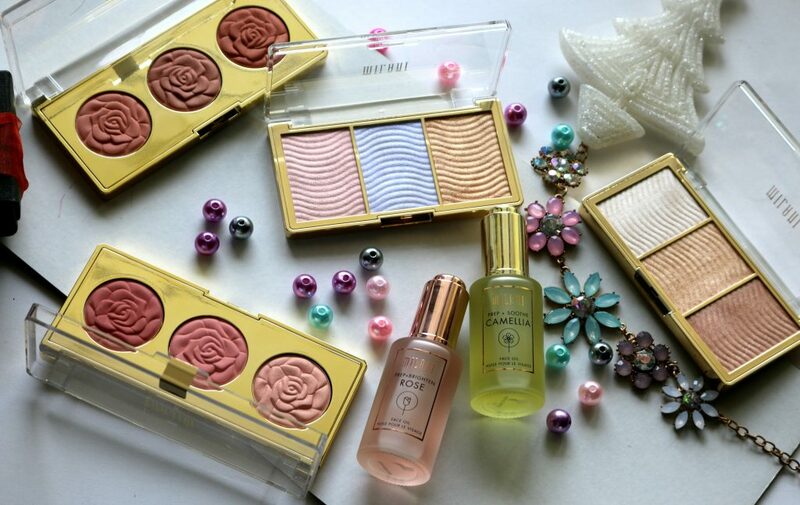 In this post I will be featuring all of the new launches that were sent to me. Beautiful and dreamy collection. I love the packaging and the shades! We all love Milani’s cult favorite blush which has a rose imprint and that lovely blushes are now released as these Blush Trios. How adorable they look ? 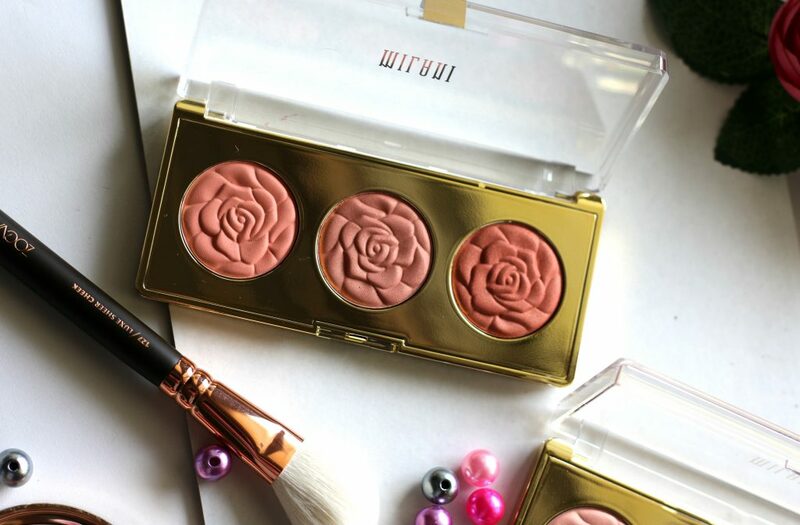 Milani Cosmetics Rose Blush Trio features three color coordinated, highly pigmented shades that can be worn together or alone to amplify and define cheekbones. 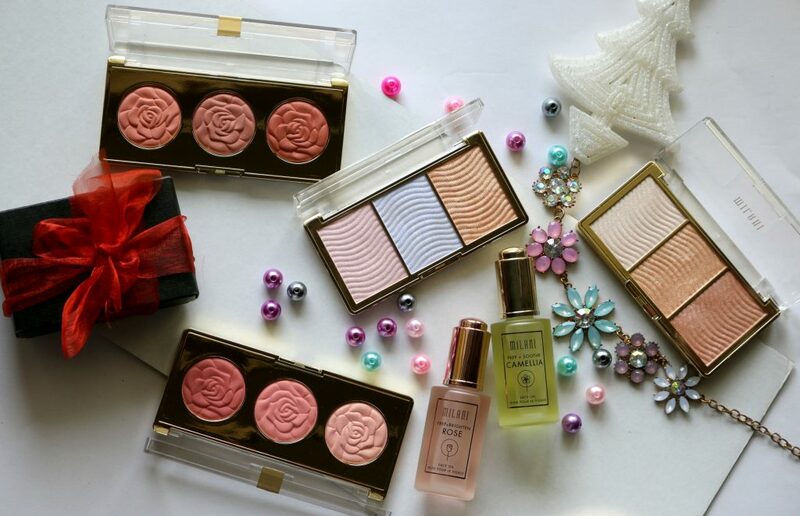 Instead of buying single shades – You can shop three of the iconic blushes in one compact case. Perfect to carry around. 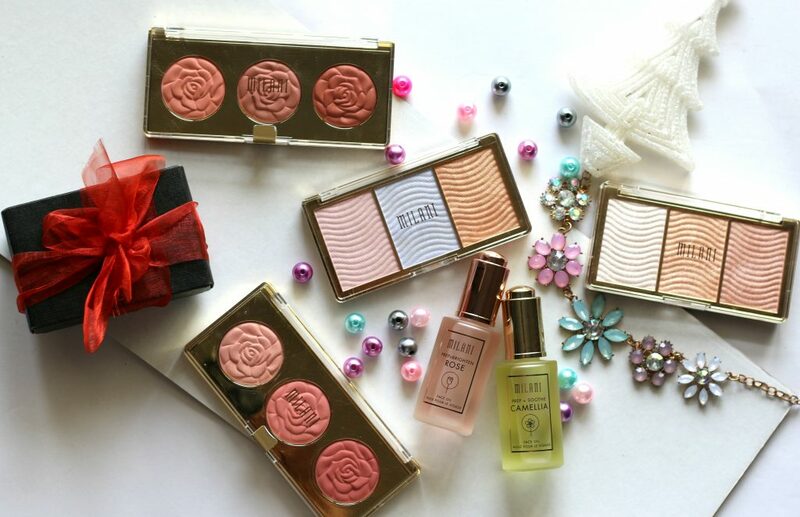 I love the new design – 3-in-1 palette that allows to mix and match different Rose shades, and is priced reasonably too. You get three shades for $13 a palette. 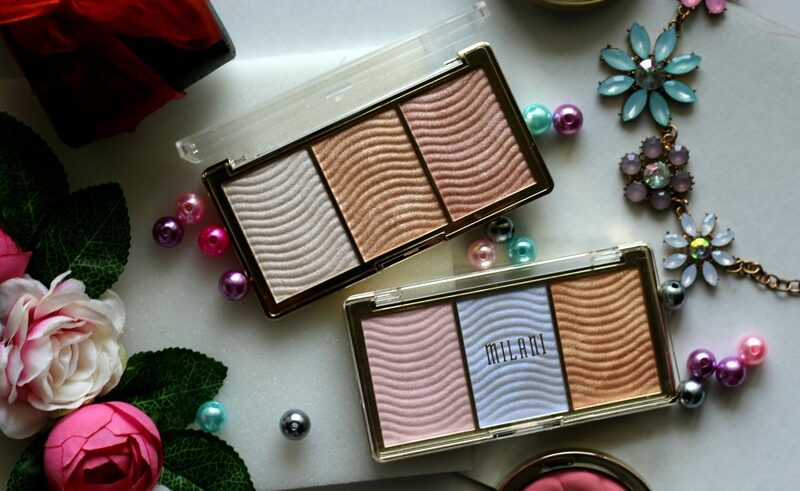 Milani single blushes are priced at $9 each, this palette is a steal. 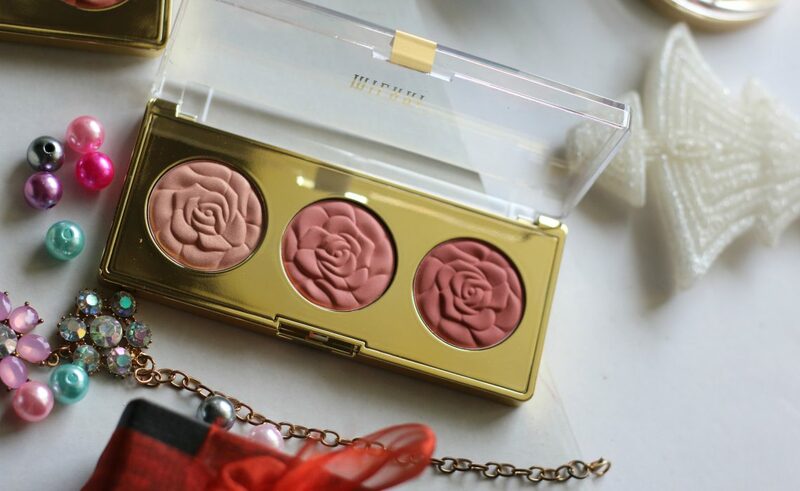 The total size of the palette is 0.42 oz where as the full-size Rose Powder Blush is 0.60 oz. I think this is a great deal to get the palette than going for singles. 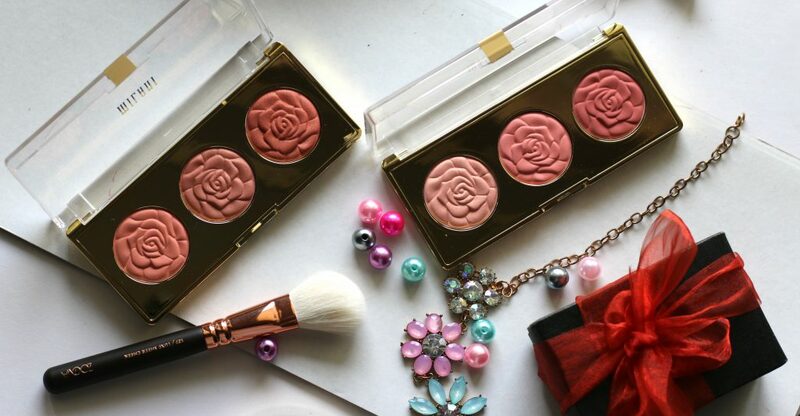 The shades are very easy to pick using a blusher brush or angled cheek brush. I love how easily they are blend and they don’t feel chalky or powdery while blending or picking the shade. I had to layer multiple times to get the color on my cheek. 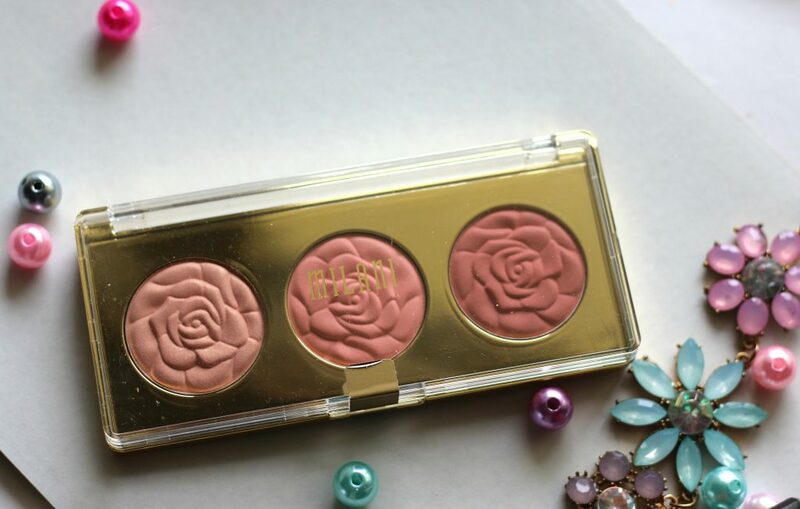 This could be because I was too careful in not disturbing the rose 3D design much while picking the product than running the brush all over 🙂 All the three shades can be worn alone or mixed together to create the amazing rose colors. Easy to blend and it stays for about 7 hours is that I love about the colors. The blushes have the signature 3D rose design that doesn’t disappear quickly even with regular use. I use my Zoeva Sheer Cheek brush to apply this and the design didn’t fade at all! I love it! 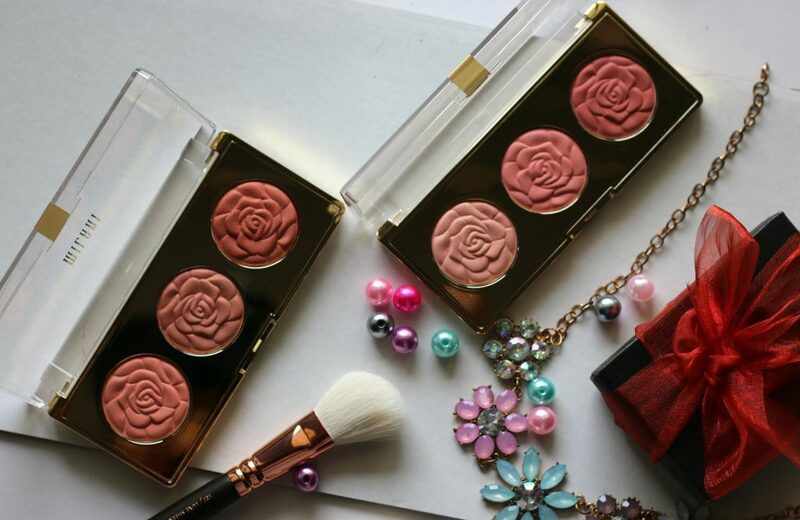 The shades of roses in O2 Floral Fantasy Palette is beautiful. It suits every skintone. Shimmering Medium Dusty Rose which is the middle color is my most favorite and I am wearing it a lot since I got it. The shimmers are very fine and it doesn’t feel chunky or over glittery. The shades in 02 Flowers of Love palette are pretty too. The matte ‘deep rose’ shade is my most favorite in this palette. 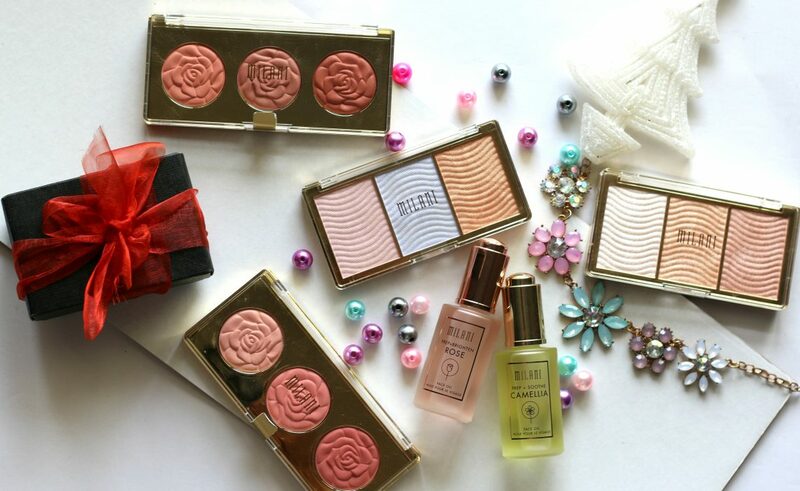 Overall, I think these blush trios are a great value for money. 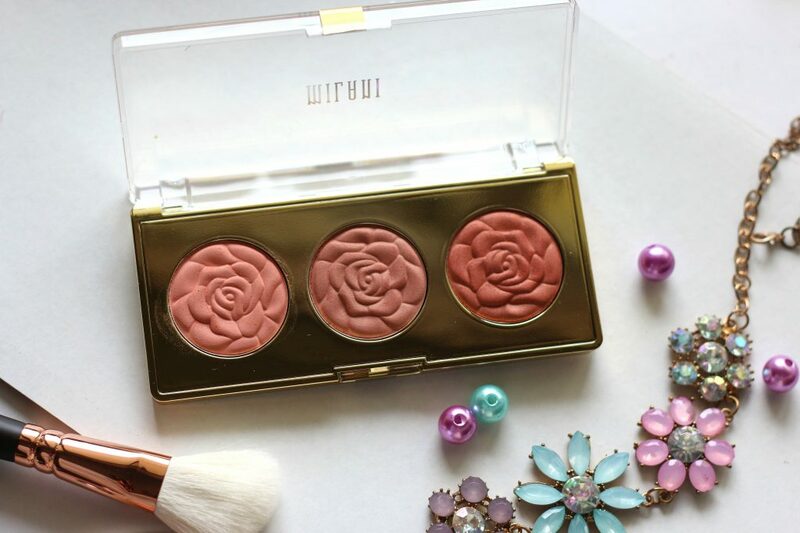 The total size of the palette is 0.42 oz where as the full-size Rose Powder Blush is 0.60 oz. I think this is a great deal to get the palette than going for singles. 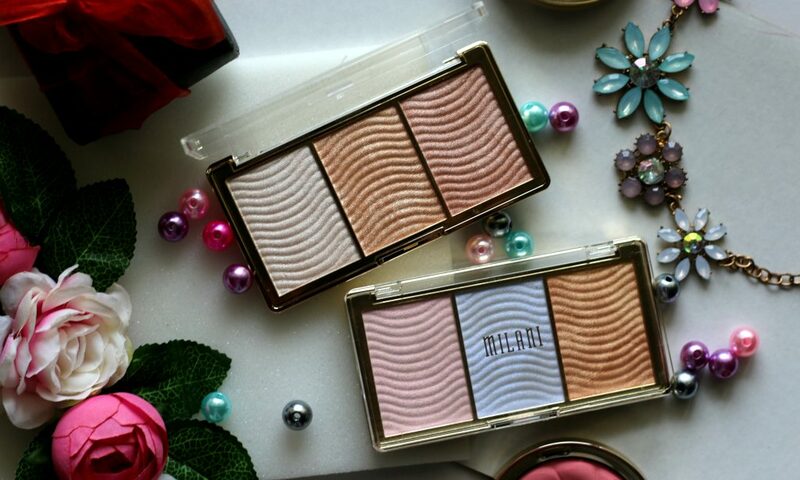 Both palettes suit every skintone and they have the right mix of shades too. Easily blendable. No chalky or powdery or gritty texture too. Staying power is impressive too. Ingredients- Mica (CI 77019), Talc, Octyldodecyl Stearoyl Stearate, Pentaerythrityl Tetraisostearate, Dimethicone, Synthetic Fluorphogopite, Phenyl Trimethicone, Silica, Phenoxyethanol, Isododecane, Isohexadecane, Ethylhexylglycerin, Tin Oxide -/+May Contain: Titanium Dioxide (CI 77891), Iron Oxides (CI 77491, CI 77492, CI 77499) Red 40 AL Lake (CI 16035), Manganese Violet (CI 77742), Ultramarines (CI 77007). 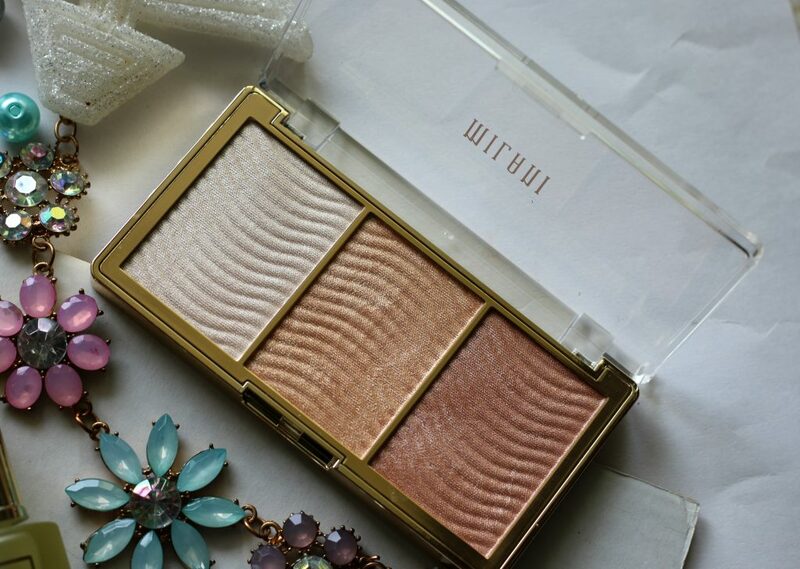 These powder highlighters is super soft and velvety to touch and they are easy to work with. They have a finely milled texture and it helps blend very easily. Doesn’t feel chalky or powdery while applying and it doesn’t accentuate my pores. All three shades have warm hues to it and they are just perfect. You can go light handed for a subtle highlighter effect and layer it for a more intense look. 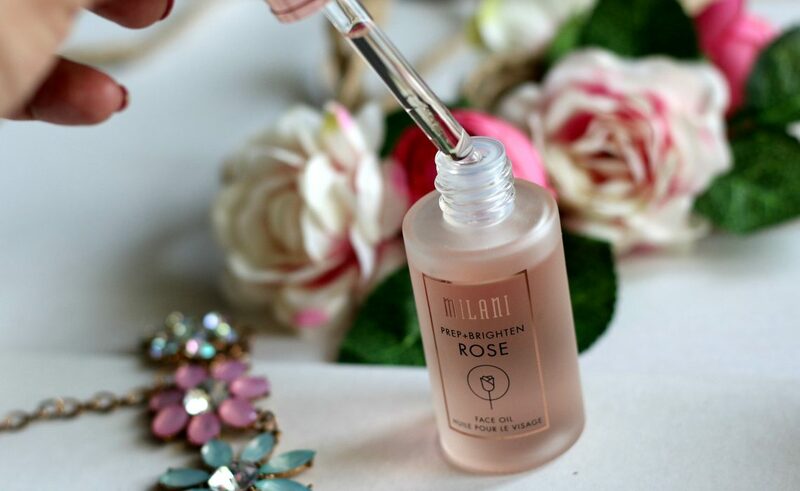 Using a highlighter brush – apply this along the bridge of your nose, cheekbones, cupid’s bow and brow bone. These doubles up as eyeshadow too. Shade ‘Pearl’ is perfect for brow bone and inner corner highlighting too. They don’t feel chunky or glittery. They have the right balance and I think they are perfect for the price. Staying powder is quite impressive as well. It stayed for over 7 hours and I think it’s great for a drug store product. Golden Quartz – A warm golden shade with shimmers. 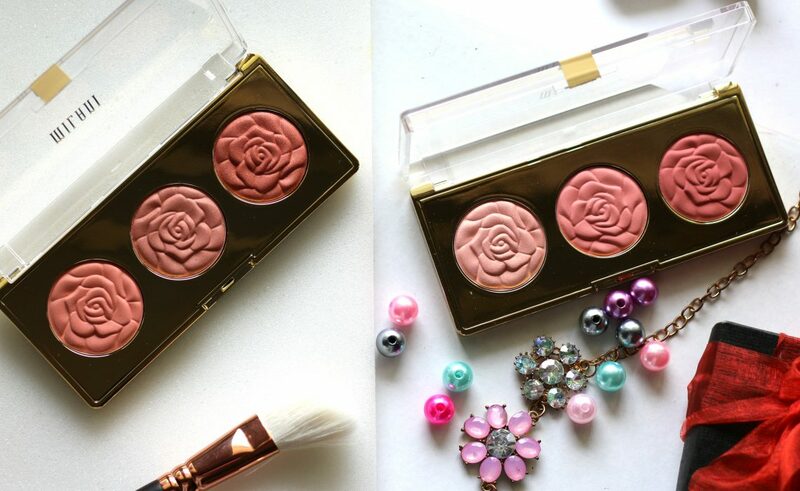 Rose Gold – A beautiful rose gold with shimmers. My most favorite shade in this palette. 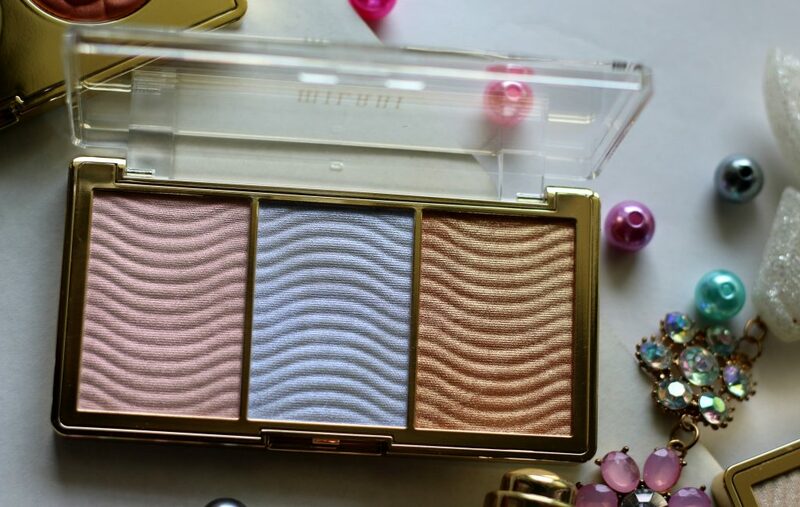 The pretty wave pattern on these Stellar Highlighter Palettes are amazing. Sadly they fade quite quickly when you actually start to use it. Unicorn Dreams is a light purple-pink duo chrome shade with a pink undertone. 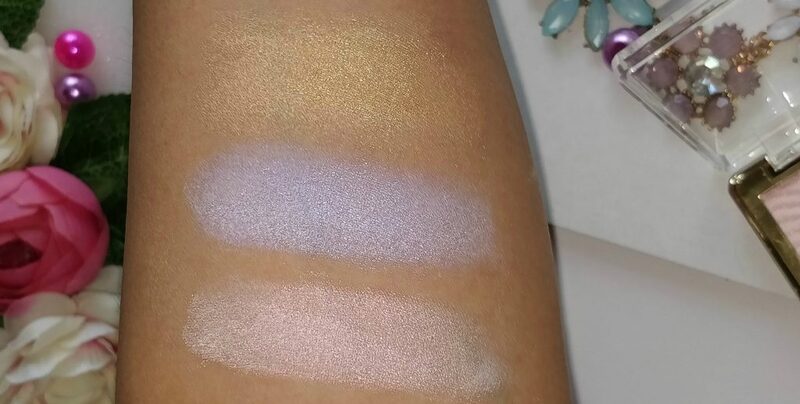 Appeared a little bit powdery while swatching and this shade don’t have that metallic shift like other two shades. More cool toned color in my opinion. Make Believe is a lavender duo chrome , also with a white metallic base. Honestly, I am not a fan of this color and I don’t ever think would wear this shade. Other Worldly is more of a warm golden with orange undertones. This shade has an orange tint to it and looks lovely. All three powders blend easily and I would say these are nicely pigmented too. Apart from 2 of the shades in 02 Holographic Beams palette ; I love other colors. 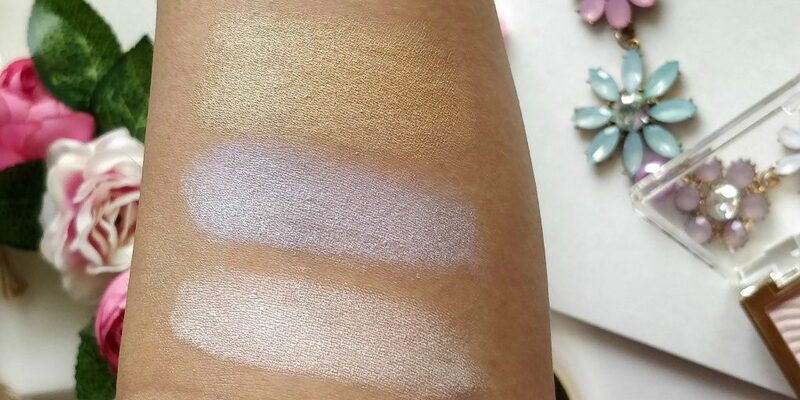 The first shade ‘Unicorn dreams’ appeared powdery while swatching. Not my kind of everyday shade! 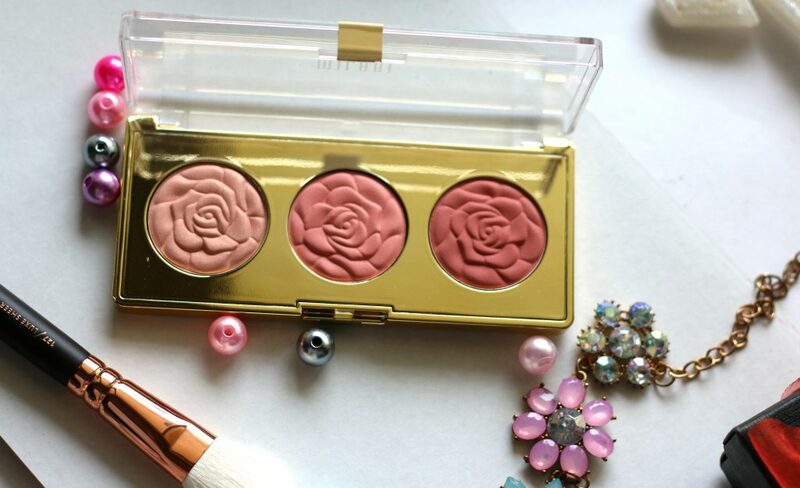 I prefer 03 Rose Glow Palette to this as Rose Glow features more warmer colors that are perfect on every skin tone. 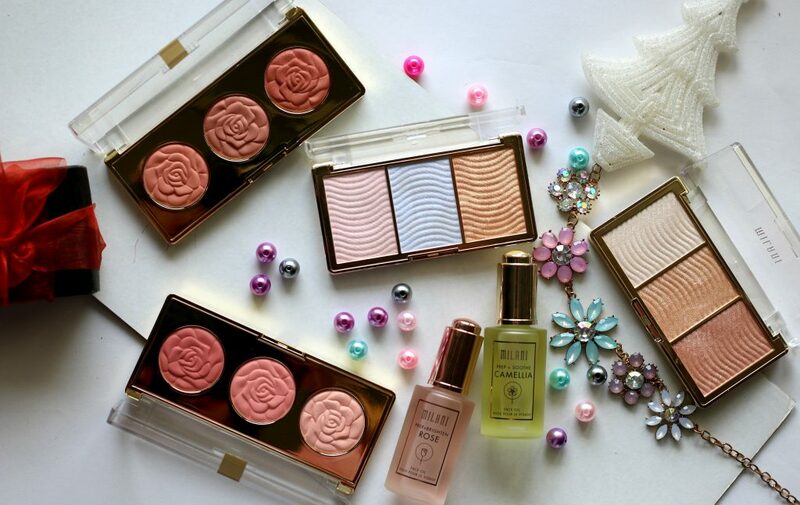 If you are planning to get one of these and if you like more of a golden, champagne or rose gold kind of highlighter – Go for 03 Rose Glow Palette. ; 02 Holographic Beam is for people who are a fan of unicorn highlighter shades. Or looking for more of a art or decorative shades. 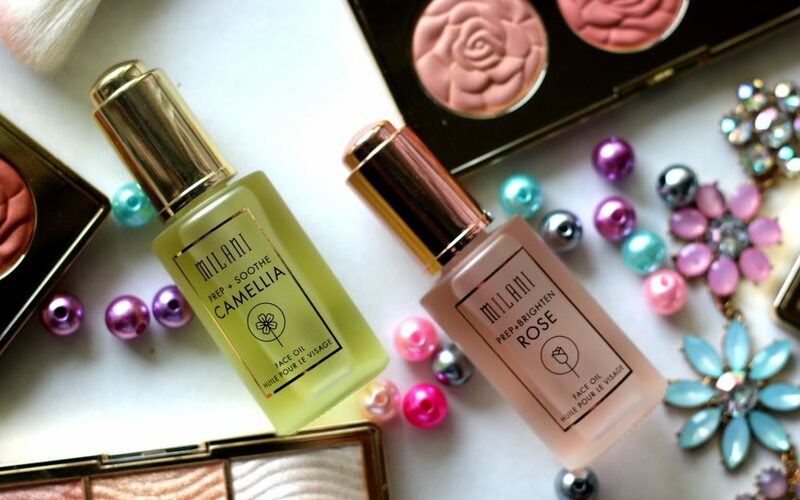 I love facial oils and after blush trios, These were the new releases that I was so excited to test. I love the minimal packaging of these face oils. 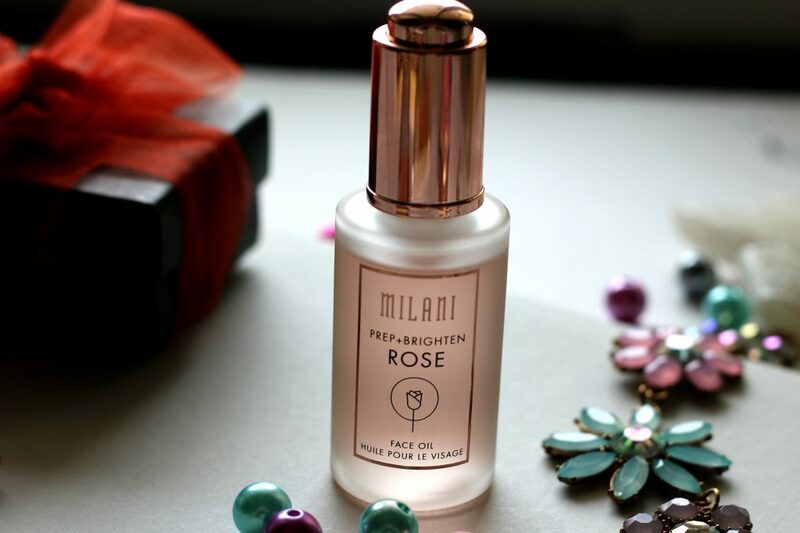 Milani Cosmetics Rose Face Oil is a custom blend of Vitamin C, Sunflower, Apricot Kernel, Sweet Almond, and Crambe Abyssinica Oils designed to brighten and balance your skin. Packaging & Price – For $14 each, you get 1 oz. 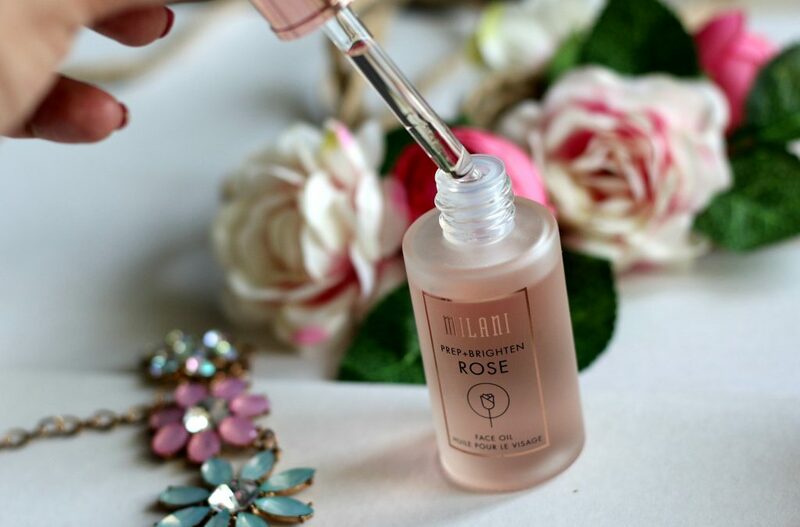 of product and it’s packaged in a frosted glass bottle that’s pale pink in color with a rose gold metallic shiny lid and a glass dropper for easy application. The packaging is minimal and cute. Store it in a cool dark place away from direct sunlight as the contents could get spoiled if subjected to direct sunlight. Application Tips – Apply 1-2 drops and massage onto freshly cleansed skin using circular movements. This fast absorbing oil gives a boost of moisture to the skin to help create a perfect canvas for makeup. I am a big fan of facial oils and this one felt good on my skin as well. It has a faint floral fragrance to it and not very over powering. It feels mild and soothing on skin. After cleansing your face, you need 1-2 drops to cover your entire face for that added moisture and prepping your face for the foundation application. You may also mix 1-2 drops along with your foundation and that allows to blend the foundation easily. It doesn’t leave your face oily or greasy if the right amount is used. Formula is fast absorbing on skin as well. Now, regarding the BRIGHTENING CLAIMS ? I don’t think it brightened my complexion but it did a wonderful job of hydrating my face well. It didn’t give any breakouts. Neither did it clog my pores etc. 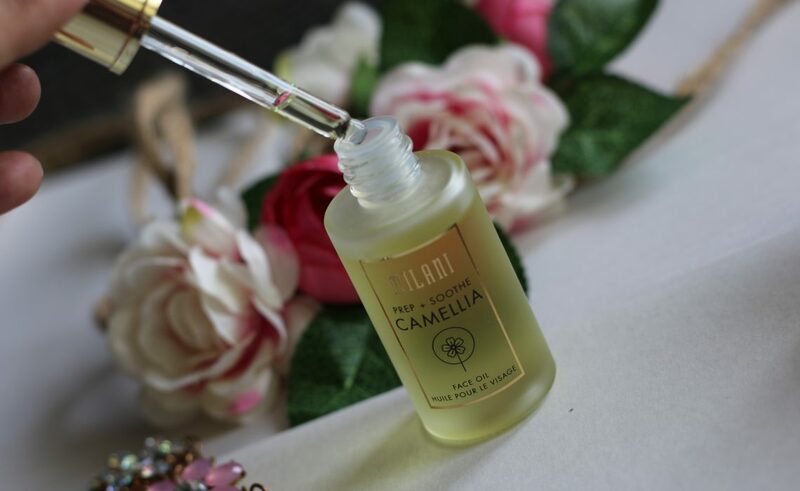 Start your beauty regimen with our soothing Camellia Face Oil – a luxurious blend of Grapeseed, Camellia, Sunflower, and Sweet Almond Oils for a healthy glow. Fast-absorbing and weightless, this face oil is packed with moisture boosting fatty acids and antioxidants to help prevent dryness and protect your skin. May be used on the face, hair, and body. 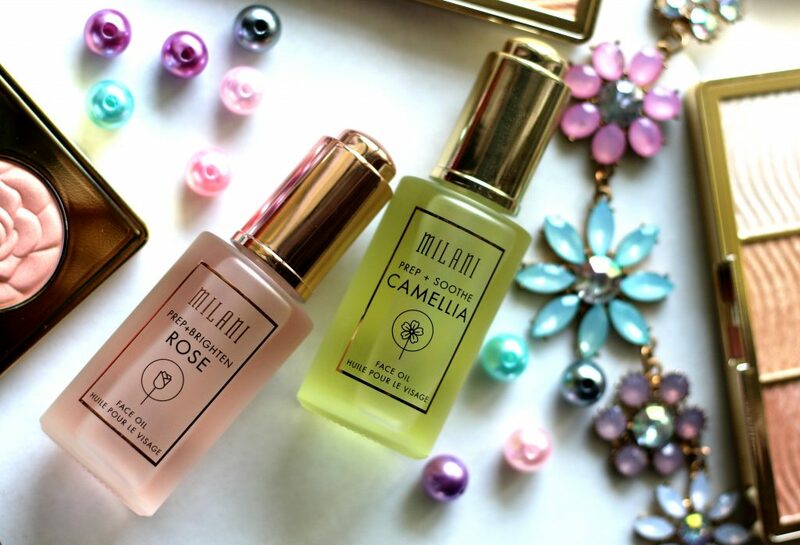 Milani Cosmetics Camellia Face Oil is a luxurious blend of Grapeseed, Camellia, Sunflower, and Sweet Almond Oils for a healthy glow. This fast absorbing oil gives a boost of moisture to the skin to help create a perfect canvas for makeup. Apply 1-2 drops and massage onto freshly cleansed skin using circular movements. First thing I noticed about this oil is its ever calming fragrance. 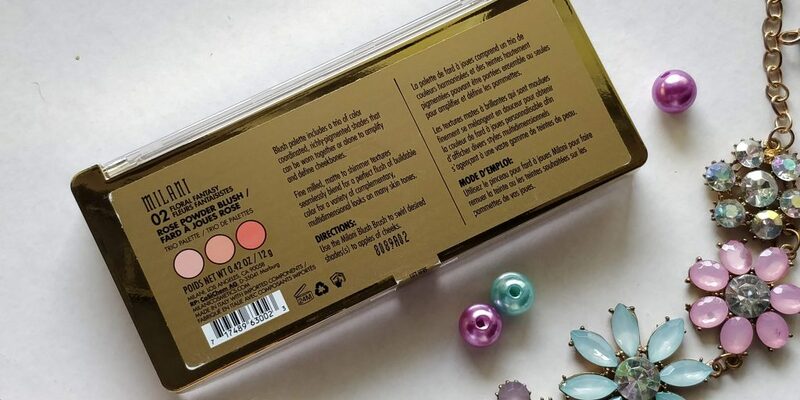 I tested it by using it both as a makeup primer as well as a night time mix along with my face cream, body cream and also as a finishing hair styling serum. 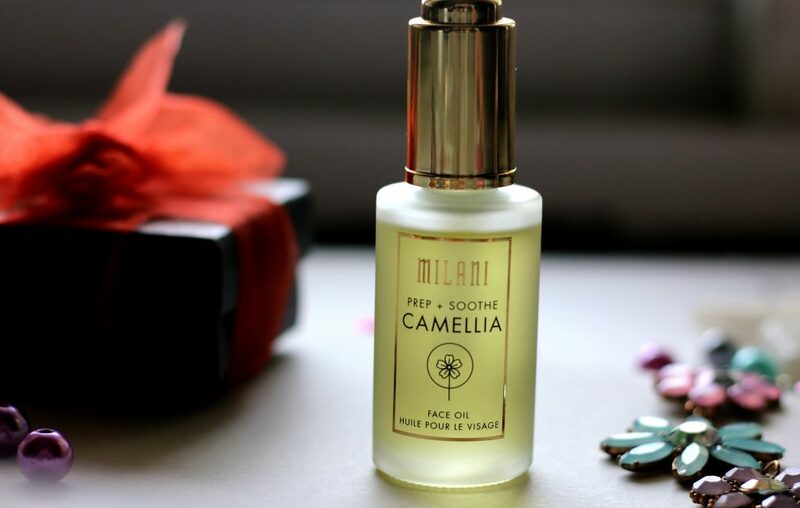 All the ways I tried this oil – Its lovely. I have a super sensitive skin and this oil didn’t give me acne issues. Neither did it clogged my pores. It helped moisturize my dry skin area and it sits comfortably under my makeup. I love the calming fragrance of this one. 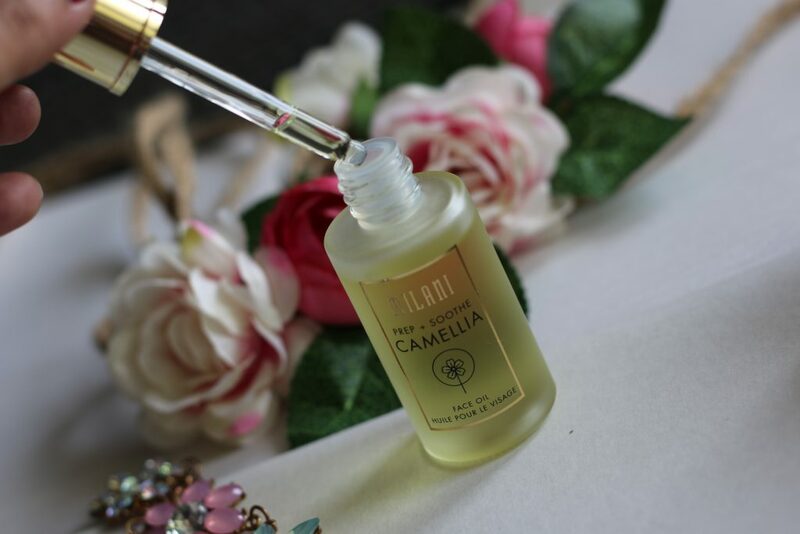 Packaging & Price – The pale yellow bottle with a golden lid and glass dropper makes it super easy to use the product. For $14, you get 1 fl.oz or 30 ml of product. A little goes a long way. Remember to store it away from direct sunlight. My favorite way of using this oil is adding 2 drops to my foundation and that makes it more blendable and it doesn’t separate your foundation or make your face greasy if applied as a primer. It’s fast absorbing on skin leaving your skin hydrated and supple. 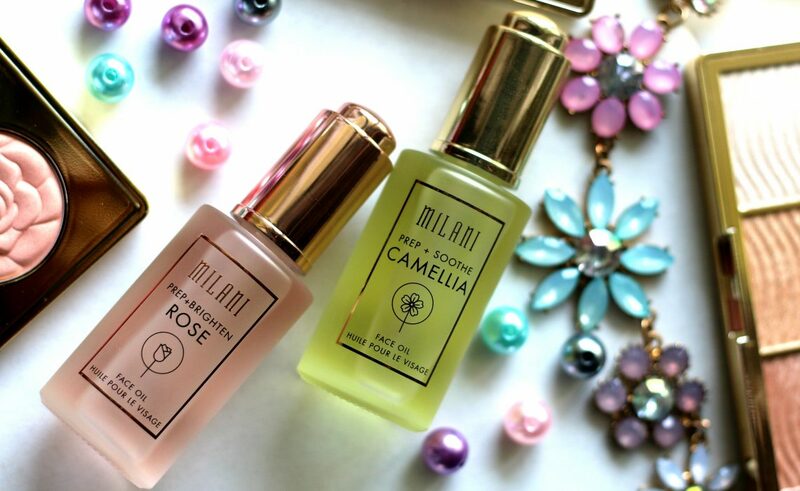 Overall, Milani Facial Oils are good for someone who is looking for a daily facial oil for that added hydration benefit; Something that can go as a primer; blendable with base makeup products etc. On the other hand if you are looking to buy it seeing the brightening claim – I would not suggest this. 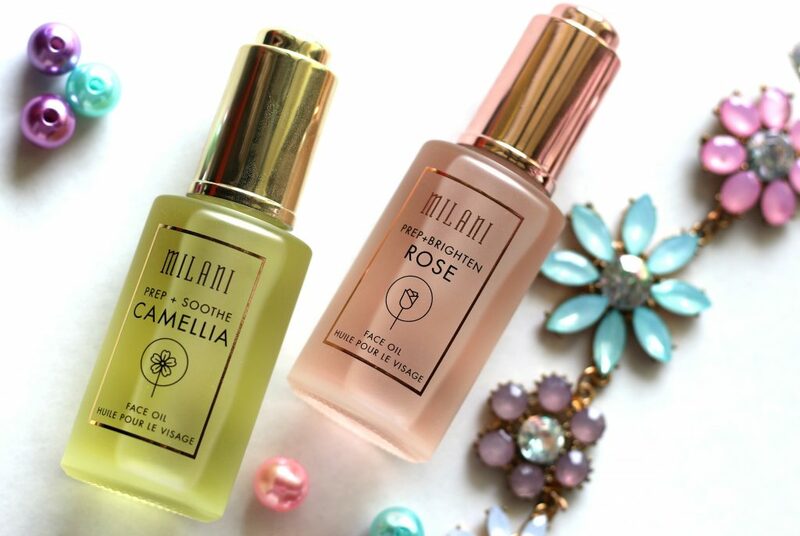 Have you tried any of these newest launches from Milani Cosmetics? What are your favorites ? 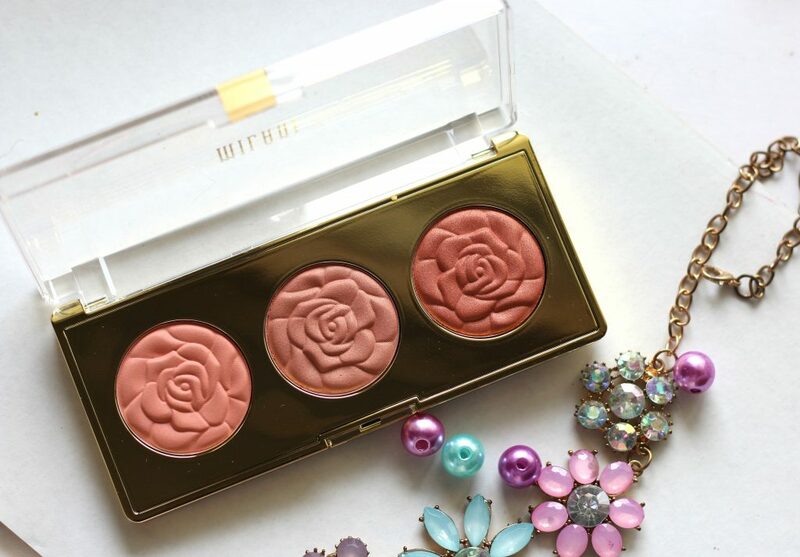 I love Milani blushes and the blush trio looks super cute. These are so pretty! And you can’t beat those prices! 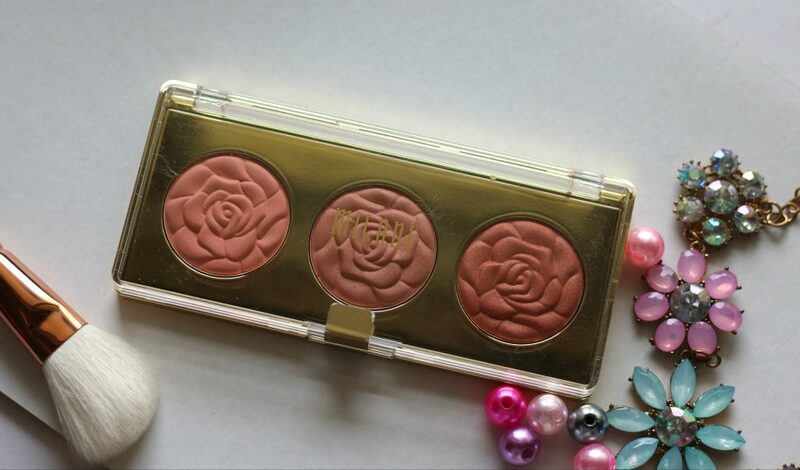 I love the floral fantasy trio’s shimmer! Perfect to catch the light! 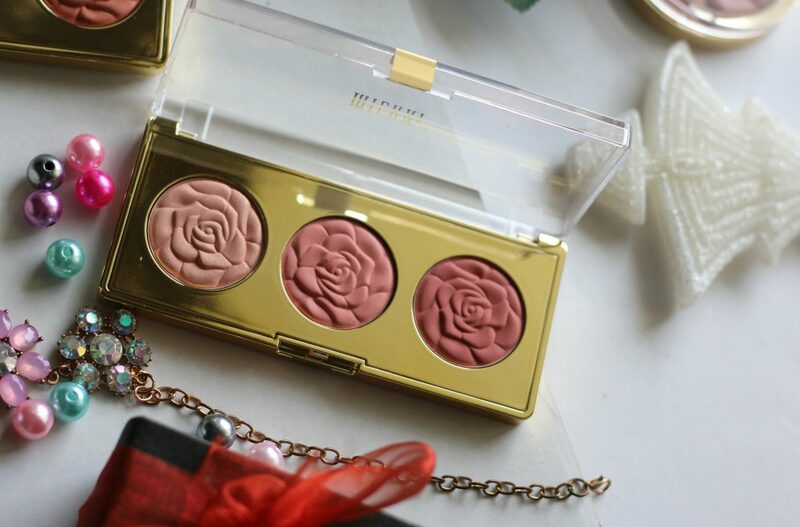 oooh wow, I’m a sucker for a new blusher!! These look so pretty don’t they ! really lovely shades.